The massive outage in Venezuela was organized from the outside. This was stated at a briefing by the official representative of the Russian Foreign Ministry Maria Zakharova. The diplomat noted that the attack on the country’s electric-energy sector was made from abroad. 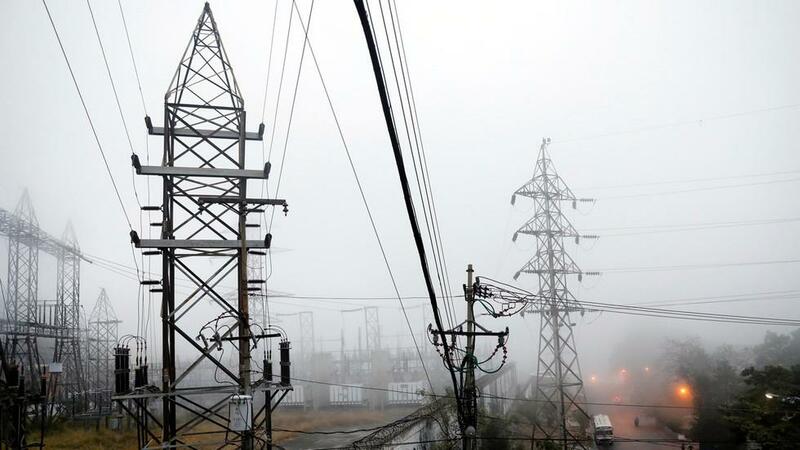 The attackers took advantage of the control and monitoring equipment of the main electrical distribution stations, which were produced in a western state. “As I understand it, in Canada,” Zakharova clarified. The Foreign Ministry believes that the organizers of the sabotage are now responsible for the deaths of people. “We hope that this responsibility will sooner or later take the form of a court sentence,” said Maria Zakharova. “No food. No medicine. Now, no power. Next, no Maduro,” Pompeo wrote in Twitter, adding that “Maduro’s policies bring nothing but darkness.” Unfortunately, the top diplomat did not explain how wide-scale economic sanctions imposed to wreck the country’s economic should help the “ordinary Venezuelans”. 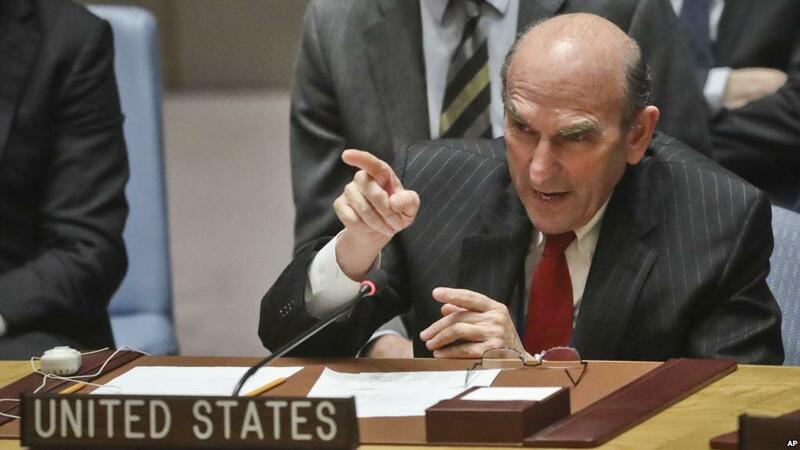 The State Department attitude was expectedly supported by US-proclaimed Venezuelan Interim President Juan Guaido, who recently returned to country after an attempt to get more foreign support for US-backed regime change efforts. Guaido accused the “Maduro Regime” of turning the blackout during the night in a “horror movie” with his “gangs” terrorizing people. Taking account already existing allegations about the presence of Hezbollah and Russian mercenaries in Venezuela and an expected second attempt to stage US aid delivery provocation on the Colombian-Venezuelan border, it becomes clear that chances of US direct action to bring into power own political puppet are once again growing. The February attempt to stage a provocation failed and make a final step toward a regime change by force failed after it was publicly revealed that the US-backed opposition was intentionally burning “aid trucks” to blame the Maduro government. Furthermore, the military backed Maduro, and the scale and intensity of protests across the country were not enough to paralyze the government. The blackout in Venezuela was likely meant to bring the country into disorder and draw off army and security forces. Therefore, an attempt to stage a new provocation to justify a foreign intervention to overthrow the Venezuelan government could be expected anytime soon. Earlier, unconfirmed reports suggested that 95 percent of the crisis-stricken country was again without power, after Sidor Substation in Bolivar state had allegedly exploded, spewing clouds of black smoke into the sky. The substation had reportedly been sustaining the country’s power supply since the Guri plant –which produces 80 percent of the country’s power– failed. The Venezuelan government blamed Thursday’s blackout on US “sabotage.” President Nicolas Maduro accused Washington of waging an “electricity war” on the socialist state, while communication and information minister Jorge Rodriguez blamed the outage on a US-orchestrated cyberattack. Though some parts of Venezuela’s power grid have reportedly begun to come back online after the country was plunged into nation-wide darkness beginning Thursday evening, the mass blackout crisis continues, which Caracas has blamed on US-orchestrated saboteurs. To prevent further “sabotage” Venezuela’s Defense Ministry has vowed in an official statement via state TV social media channels to deploy armed forces to protect the national electricity system for the duration of the power outage. “All the security agencies, civil protection and the nation’s integral defense system are deployed to protect and help the people across the country,” a statement said, via Bloomberg. This as official accusations against Washington for conducting what Maduro previously called a US “electricity war” have become even more strident. The defense ministry previously vowed to put more security patrols on the streets after dark, as already high-crime areas of Caracas are now considered no-go zones as a result of the blackout. Meanwhile the problems now appear to be compounding as Venezuela’s already aging and mismanaged infrastructure continues to collapse in a domino effect of problems precipitated by the electrical grid mass failure. Venezuela’s worst power and communications outage on Friday deepened a sense of isolation and decay, endangering hospital patients, forcing schools and businesses to close and cutting people off from their families, friends and the outside world. While electricity returned to some parts of Caracas nearly 24 hours after lights, phones and the internet stopped working, the blackout was another harsh blow to a country paralyzed by economic and political turmoil. Venezuela’s worst ever power outage in recent history has continued since Thursday, as video and photos continue to come out of the cash and resource strapped country showing entire cities blanketed in darkness. Stretching into day two of the mass electrical shutdown, 23 out of 24 states remain in darkness, according to the AP, in a prolonged situation now reaching crisis levels given reports that hospitals are struggling to keep back-up generators running and many businesses are forced to remain shuttered. The nation-wide blackout quickly turned into a blame-game over who’s at fault, with many in the opposition blaming the Maduro government’s mismanagement and notorious corruption, and with pro-regime voices blaming right-wing saboteurs taking orders from the United States. Caracas has even gone so far to point the finger at Florida Republican Senator Marco Rubio, who only yesterday as part of a Senate Foreign Relations Committee hearing said that the US should promote “widespread unrest” in order to bring down the Maduro government. Though offering no specific proof Caracas officials accused the US and opposition activists of causing “pandemonium” for several days, culminating in the blackout. According to the AP the blackout struck during Thursday evening’s peak rush hour period, and after extending through the night Maduro reportedly ordered all schools and government locations closed. Businesses were further ordered closed in order allow work crews easy access to the failing power infrastructure. Power in some parts of Caracas has reportedly begun to return, though remains off or intermittent in may other parts of the country. Some parts of the country reportedly had power restored within hours, but others remain in darkness now 24 hours later. Pompeo also expressly denied pro-Maduro officials’ accusations that the United States and its regional allies were engaged in acts of sabotage aimed at regime change. According to the AP, limited social media posts coming out of Venezuela by those who still had cell phone charges and signals included images of darkened cities that looked like “ghost towns”. The extreme nature of the blackout impacting cell and internet communications also continued in to Friday: “The observatory warned Friday that some of the remaining networks were starting to fall offline as generators and backups began depleting and cell towers shut down,” the AP reported. However, 23 hours in to the mass outage there were signs of electricity coming back to some regions of the country, with Net Blocks still reporting “new outages slowing the recovery” and internet connectivity back up to 20%, down from just 2% nationwide earlier in the day Friday. Hundreds of thousands of Americans are without electricity Sunday night as a storm system moves away, and brutally cold air plunges into the void with 50-60 MPH winds. Huge numbers of American households are without electricity Sunday night and the number is only going to get worse as the cold air continues its trek eastward. Michigan: Out of 5,010,071 Customers, 102,296 are without power as of 8:53 PM EST. Ohio: Out of 5, 179,508 Customers, 180,932 are without power as of 8:52 PM EST. Pennsylvania: Out of 6,167,300 Customers, 153,196 are without power as of 8:51 PM EST. New York (State) and Long Island: Out of 7,958,060 Customers, 74,129 are without power as of 8:51 PM EST. West Virginia: Out of 998,159 Customers, 73,010 are without power as of 9:02 PM EST. Virginia: Out of 3,732,331 Customers, 54,735 are without power as of 9:07 PM EST. Bear in mind that a “Customer” is not necessarily a single family home. In many areas of high-density population, a “Customer” can also be an apartment complex with several hundred families. Late Sunday night, as the winds pick-up in eastern New York, all of New Jersey, New York City and Long Island, (High Wind Warnings are already issued for those areas) very many more will likely lose electricity. 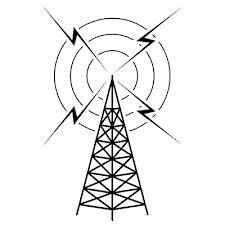 For the past few years, I have taken great pains on many radio shows, to URGE my listeners to “Prep.” I’ve explained the need for Emergency food, water, electric, heat, and so forth. VERY FEW took that advice to heart. It’s awfully cold and dark for a lot of people tonight. Those who were warned but took no action . . . oh well. Sadly, some folks . . . know everything. They take no action because THEY know it won’t happen to them — or it won’t last too long — or they’ll tough-it out because it can’t get THAT bad; until it does. They’re the ones who scream the loudest when their lack of preparedness comes home to roost. For those who think “Prepping” might be a good idea, HERE are some suggestions. Late last night a sudden power outage shut down the world’s busiest airport. With the outage leading to both the FAA and Atlanta’s mayor ordering the suspension and grounding of all flights going both in an out of the airport while work was done to restore power. However the internet detectives over at 4chan have noticed one interesting piece of the story that no one in the mainstream press seems to want to mention. That right in the middle of this over 12 hour supposedly complete air traffic shut down, a single plane was mysteriously allowed to leave the airport. Which leaves us with an obvious question. Just what was so special about this lone permitted flight? The plane in question 4X-ICB, is a cargo plane that arrived in Atlanta from Mexico City at 1:00 PM, just literal minutes before the alleged power problems began to make the airport go dark. The plane would then go on to leave for its next destination at 6:27 PM, right in the middle of the blackout that ran from about one to midnight. With the official record indicating that the first flight post blackout was not allowed to take off from the airport until 12:56 AM the next day, how then how do we account for our mystery flight? The cargo plane in question is owned by Cal Cargo Airlines. A Jewish owned company based out of Israel who specializes in the transportation of nonstandard cargo such as, live animals and dangerous goods. The company’s leadership also has clear connections to the Israeli government. This includes it’s Vice Chairman Muli Ravini, who previously served as Assistant to the Director General at the Ministry of Finance in Israel. Even more suspicious though is that Cal Airlines owns another business known as LACHS. A company who operates at the Atlanta airport, loading and offloading cargo planes. Most importantly LACHS boasts the ability to load and unload places without the presence of a customs agent. Meaning no one outside the companies own employees were aware of what was inside the plane as it either landed in or took off from the airport. So to sum this up so far. An unprecedented power outage occurs at the busiest airport in the world. Despite the airport having backup generators for just this occasion that mysteriously somehow went out at the same time. Minutes before the blackout, a cargo plane from Mexico City arrives at the airport. Due to a special customs arrangement, it is not boarded by security or customs officials. Then approximately 5 hours later, despite all flight having been ordered grounded by both the cities mayor and the FAA, the flight leaves for its next destination. With so little clear information to go on, it’s of no surprise the theories as to just what was likely inside the plane are diverse. Though most seem inclined to believe the likeliest motivation for such an elaborate ruse, would have been to get weapons out of the country, and most likely into Israel. Of course it’s worth noting that this this is hardly the first Israeli cargo plane to have mysterious circumstances surrounding it. As all the way back in 1992, the crash of flight El Al Flight 1862 caused quite a stir when it was revealed to have been secretly carrying the ingredients for sarin nerve gas. By far the most popular suggestion is that this blackout was part of an operation to discreetly move some W80 variable yield nuclear warheads out of the country, and into the hands of the Israeli’s. The power outage being a necessary part of the ruse to blind nuclear detection devices that are standard at all major airports. The belief being this was all done to discreetly arm our military ally in a region where the current situation is becoming increasingly unstable and hostile. One user in particular breaks down a complete scenario, which also makes reference to the not widely known 2007 Bent Spear Incident. Where a number of W80 Nuclear Warheads were mistakenly transported on a cargo plane, and off the grid for over 36 hours. Whatever the truth of the matter is. It’s both intriguing and disturbing that no mainstream media outlet will likely investigate or question just why this one plane was allowed to leave the airport during yesterday’s outage. Even if there is a perfectly reasonable explanation, we now live in a world where establishment journalists can’t be trusted to investigate a possible lead enough to deliver it to us. Certainly a story like this is worth taking a second look at. Especially when you consider the other odd elements to it, such as the fact an eerily similar fire drill got out of hand just over a week ago at the airport. Which quite possibly contributed to the slow response by officials to recognize the true nature and severity of yesterdays fire that officially at least, caused the outage in the first place.